Our company is involved in manufacturing and supplying a wide range of Universal Mini External Fixators. The range we offer to the client is available in different sizes, and designs. Our exclusive range includes Link Joints, Open Link Joints, Distractor, Distractor Fish Mouth, Straight Knurled Rod, L-Shaped Knurled Rod, and Z- Shaped Knurled Rod. 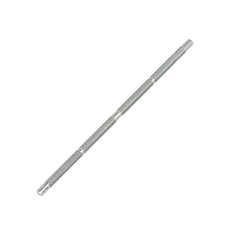 We are among the distinguished names in industry, engaged in offering premium quality L shaped Knurled Rod. The range offered by us is known for its durability, excellent strength, and durability. 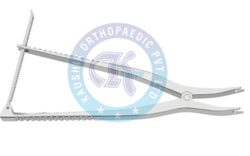 Our experts have design these instruments in such a manner that they suit for various medical centre, hospital and orthopaedic centers. 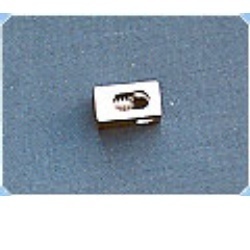 Our range instruments are known for its durability, finishing, and long life. With the help of professionally qualified expert we manufacture and supply the wide range of Straight Knurled Rod. 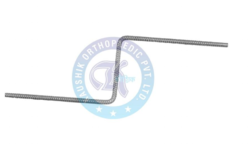 These sturdily constructed rods have been designed as per the industry standards and by utilizing the optimum quality materials. The range offered by us is known for its durability, excellent strength, and durability. These are available in market at very economical range. 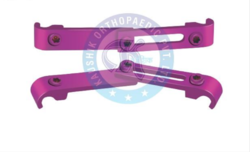 We offer a wide range of superior quality SS Distractor for tibia and femur small. It is manufactured using premium quality stainless steel acquired from our reliable vendors who are well known for providing finest quality of raw materials. 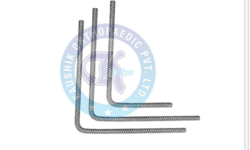 These are used for the purpose of effective and efficient recovery of fractured bones. The entire range offered by us is available at various sizes and designs to meet our clients’ specification and at most competitive market prices. We are among the most prominent names in industry, engaged in manufacturing and exporting a vast range of Open Link Joints. These are used to heal fractured bones. These are fabricated by using high grade raw materials, which are bought from our reliable vendors and have excellent finishing. These are concocting under the highly qualified technical and professional experts. Our Open Link Joints are highly sought after by our clients due to their tensile strength, corrosion resistance, cost effectiveness, high durability. These are available in various sizes and designs and at most competitive market prices. Looking for “Universal Mini External Fixators”?